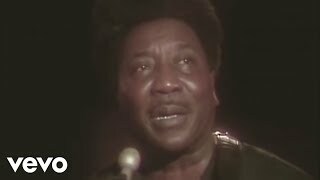 NWHikers.net - View topic - Muddy Water Blues ??? Forum Index > Trail Talk > Muddy Water Blues ??? I will be going to the Grand Canyon in two weeks and doing an eight day trip . I will be going down Tanner Creek to the Colorado River, up the Beamer Trail to the Little Colorado, backtrack to the Escalante Route, and exit back to the South Rim via Hance Creek. The result will be that I will be getting my water from the Colorado River for the most part. I wonder if any of you have any particular tricks to clear heavily silted/turbid water. I understand the river is currently pretty muddy. It may be better or it may be worse while I am down there. I know some people use alum as a flocculant but I don't want to use that as I am not sure how my digestive track will react to that and I am not interested in doing a clinical trial to find out. I have two 3 liter Nalgene cantenes (that weigh 2.7 oz each) to use for settling. I have thought about getting a Sweetwater prefilter to use in conjunction with an MSR Miniworks. I am taking the Miniworks because though bulky and heavy it is easily scrubbed clean when it starts to clog. Any other tricks someone care to suggest? When I've raft/kayaked the river (two trips) we used Katadyn ceramic filters and a 5 gallon plastic bucket. The Katadyn filter is easily cleaned when it starts to fill up with sediment. Filling the 5 gallon bucket and letting it sit for a while before pumping with the intake hose a couple of inches above the bottom extends the time between cleanings. For backpacking, a folding bucket might be useful along these lines. It's an amazing place! Enjoy your trip! +1 it's an amazing place. I've done 42 BP trips there, almost all in the cool months, Nov. - Feb. I've been up to the Little Colorado once, and been fortunate with relatively clear river water. Several other times I've had permits for the Escalante Route - but with the river running dirty bailed and did other routes (relatively easy permit wise in the winter months) - not wanting to deal with the whole river water routine. Here are some thoughts from what others (experienced) have shared with me that seem to make sense. Expect it to take some time for the water to settle. Consider running the water through a bandana/coffee filter (perhaps even twice) to prefilter it. Consider using Aquamira to avoid a filter altogether. Have some kind of drink mix/flavoring powder to mix in with the water. Whether or not the Little Colorado is running strong (dirty) will be a factor. Thanks for the suggestions. I am taking some coffee filters and will definitely be pre-filtering twice. Also, thanks for the reminder about the ziplock scoop. It's been so long since I have needed to do that. It'll be good to hear about your trip, and how the water filtering went. Grand Canyon has an amazing variety of trips available, some relatively easy and some about as badass as you want to get. There's only about 2 dozen folks who have hiked the length of the canyon. Here's a trailer from a flick about 2 who did it. It'll be good to hear about your trip, and how the water filtering went. Well I am taking my good camera so I hope to come back with a few that are good enough to show off. I will definitely post a TR. There's only about 2 dozen folks who have hiked the length of the canyon. Here's a trailer from a flick about 2 who did it. I think that was shown on NatGeo last week or so. Anyway, I just noticed at the very start of that trailer that one of those guys was wearing DirtyGirl gaiters. hahaha I'll be wearing mine down in the Canyon as well. I am looking forward to a great time. I realize my itinerary is relatively tame, but at 66yo and with a severe vision deficit, it will likely be a bit of a challenge for me. Of course I have been training like crazy and will begin to lighten up on the training soon so that I am fresh for the GC. This will be my second GC backpacking trip. I really do love the dessert and the challenges it has. But the serenity is also great. Anyway, I know the water will work itself out, though it may be frustrating to clean the ceramic element so often. Thanks again for your thoughts and advice. That is a very informative video you posted, thank you. Have to chime in: see if you can upgrade/borrow an MSR Guardian. They're pricey but there's no better for one stop use in heavy silt. I'd lend you mine but it's spoken for. Rumi, I wouldn't describe that itinerary as relatively tame. Yep, I have seen that video. I was told second hand that the people that run the commercial boats on the Colorado River through the GC use alum regularly as a flocculant. I was also told that the alum found in the spice aisle of the grocery store is what they use, but I have no direct confirmation of that. Alum is used in pickling. I would not want to use it until I have tried it at home to know whether or not it actually works on the silted water and if it affects my digestive system in any negative ways. I wish I could afford that. Well I can afford it but I can't justify spending that much on it unless I used it a lot. Most of my trips are in the Olympics and I have no real need for that. If I did a lot of travel in South/Central America, Africa, or Asia, I could totally justify the expense. Alum is commonly used in municipal water purification systems. If you're on city water, call the utility and ask if they use it.